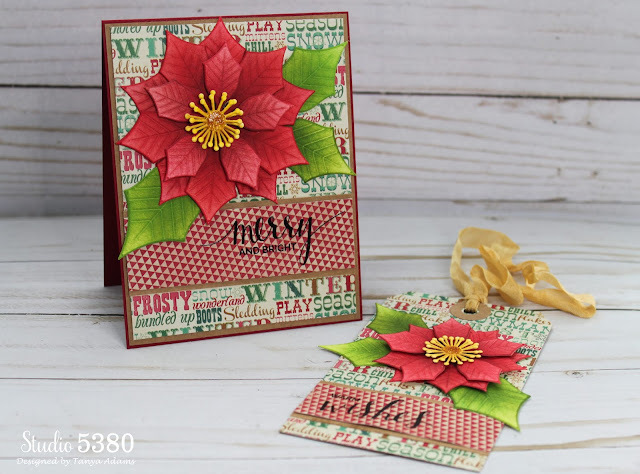 I used the "Perfect Poinsettia" die set and inked up my cuts with several shades of red and green Distress Ink. I couldn't get the deep, rich red I wanted until I mixed in a little "Ground Espresso" ink and that did the trick. My sentiments are from the MFT stamp set, "Hand Lettered Holiday". I stamped my sentiments in black ink then Versamark clear and heat embossed with clear embossing powder. I love the shiny look this method creates. I'm off to link up my project. Thank you so much for visiting with me today. Have a great day and I hope to see you soon. WOW! 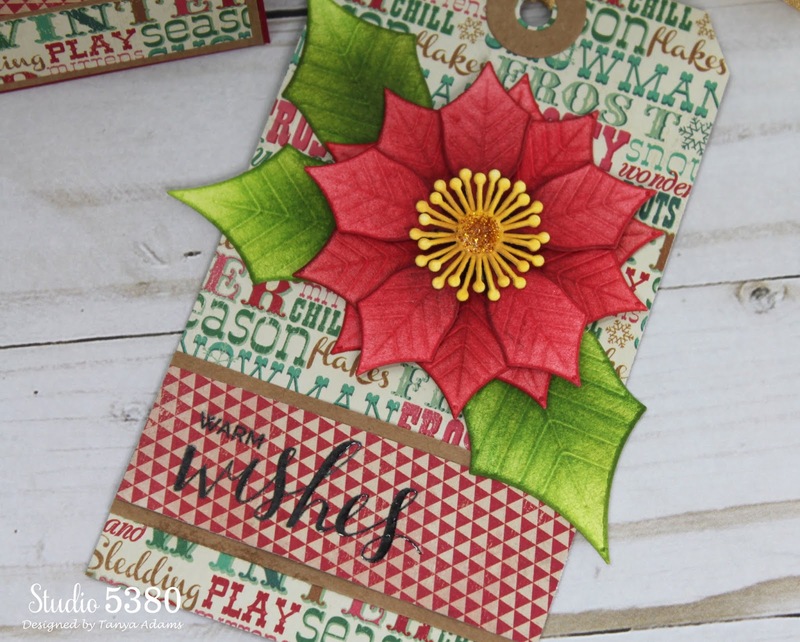 Your Card and tag are BEAUTIFUL Tanya! 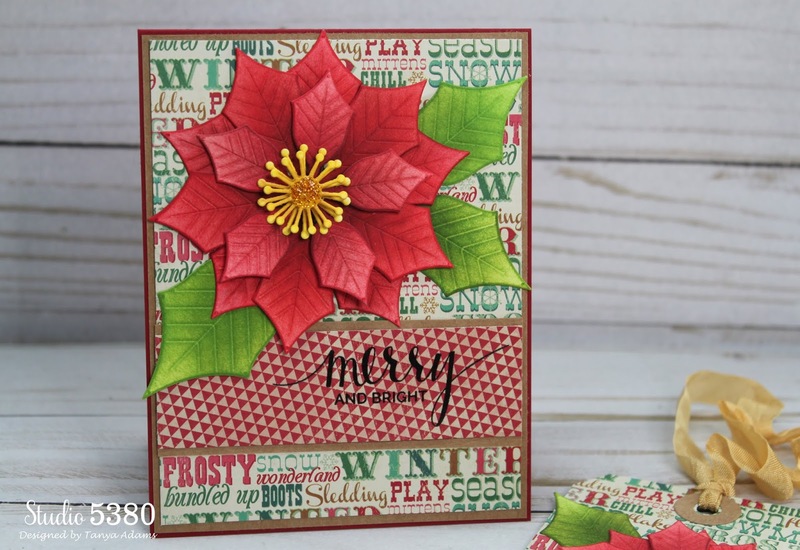 I LOVE those poinsettias you made! Stunning! !